Hydro Lifts - Aquarium Technology, Inc. This is a “must have” for the fish room enthusiast. Increase the size of your lift tubes in undergravel filters or Hydro-sponge filters by cutting these tubes to the size you need from six available sizes. Increasing the length of the tube increases the flow rate with the same volume of water, (as long as the top of the tube is below the water surface). 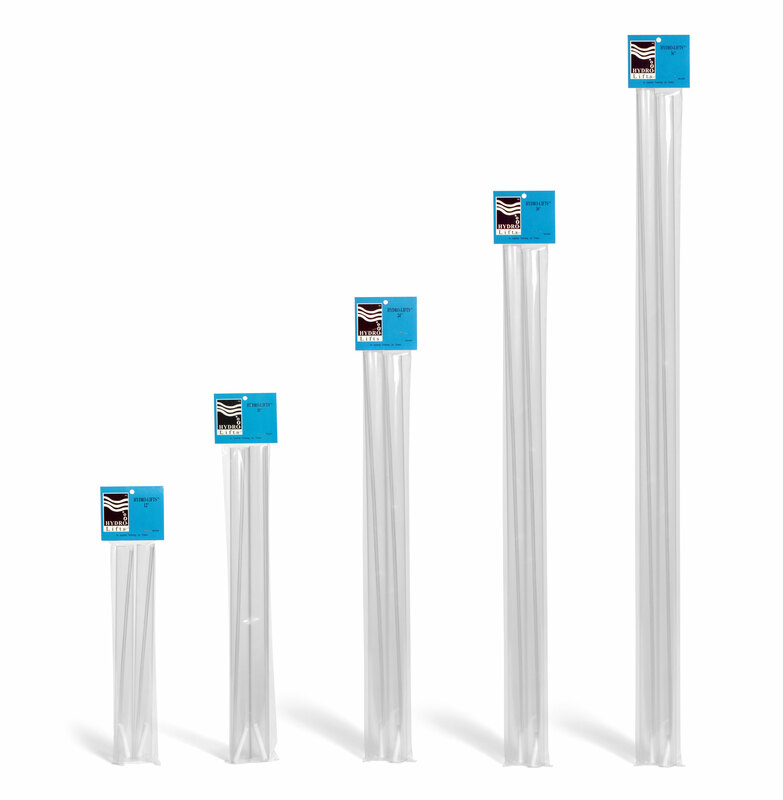 Each kit contains 2 – 1″ diameter rigid tubes, 2 – 3/16 diameter rigid tubes, and 2 – air diffusers. Six sizes: 8”, 12”, 18”, 24”, 30”, 36”.